Unfortunately, due to sales rights restrictions, we cannot offer War Dogs for sale in your country. 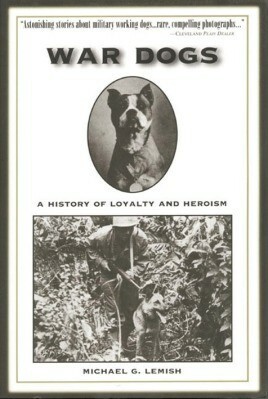 Now in trade paperback, War Dogs provides an eye-opening look at unsung canine heroes from World War I to the present. Terriers, shepherds, beagles, collies, huskies, and Dobermans are only a few of the breeds that have pulled sleds, searched caves and bunkers, and even parachuted into combat. Michael Lemish has collected true stories and rare photographs that reflect the strong bonds that have formed between war dogs and their masters as they worked together in dangerous situations. Anyone who has ever loved a dog will love this salute to these four-legged heroes.